Final Fantasy X /X2 remastered came out last week and apart from brief breaks to do things like sleep and go to work, I’ve been pretty much playing it nonstop. I’ll share my opinions on this version of the game in a few weeks when I’ve finished it, I’m only at the Macalania Woods at the moment and I fully intend to get all the Aeons and ultimate weapons on this playthrough. Something I never managed to do on any of my PlayStation 2 playthroughs. While waiting for Final Fantasy X to come out I played three RPG’s that I’ve never played before. First up is The Yawhg. The Yawhg is a ‘choose-your-own-adventure’ for the PC. I fondly remember my time with the Steven Jackson books, my fingers aching, keeping my place in different sections of the book in case I had chosen wrong; The Yawhg manages to capture all the fun of these books without giving me the finger ache. There are four characters to choose from and The Yawhg supports up to 4 player local co-op, which is a HUGE plus in my book as so few games support local co-op any more. You can use the keyboard or controller or both and each player takes it in turns to make a decision. The story is quite straight forward: The Yawhg is coming and you are living your life until it arrives. Each player takes it in turns to go to an place on the map, like the woods, and choose what they do there for a week. The outcomes are randomized so you generally won’t see the same outcome from playthrough to playthrough. For example; in my first playthrough I entered the woods and ended up getting attacked by a beast and transformed into a Werewolf. In my second playthrough I entered the woods and ended up rescuing some villagers. Such is life in The Yawhg. Each decision increases or decreases your stats which will help determine how you do at specific tasks and the epilogue. A playthrough of The Yawhg takes about 20 minutes or so but it has a lot of replay value because you never know what the outcome of your choices will be. The music in the Yawhg can only be described as beautiful, it really sets the tone of the game. A village waiting for the destruction they can’t prevent. The visual style reminds me of the drawings in books of folk tales or children’s stories. It is colourful and beautifully drawn. Over all I enjoyed The Yawhg and I intend to play it again. It’s a unique experience with friends or solo. Pick it up on Steam. b) I’m not sure if I’ll go back to it. 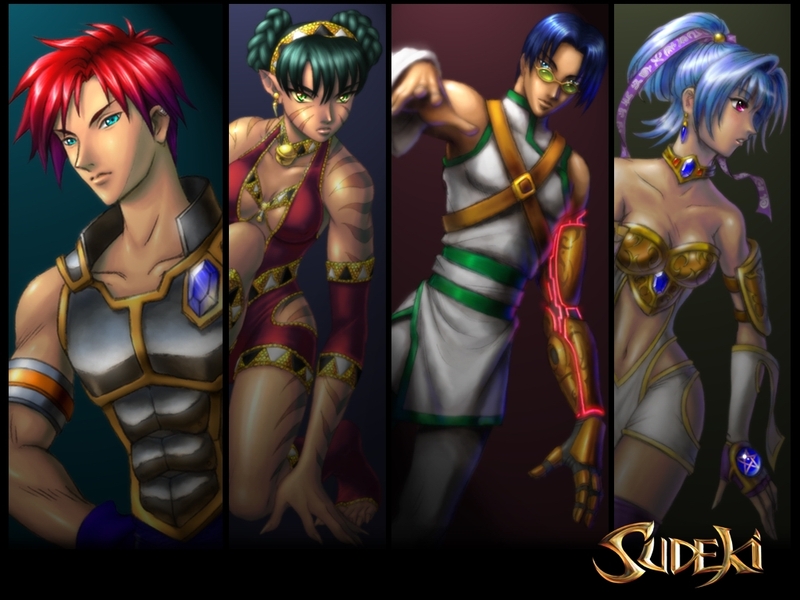 Sudeki is an action RPG that was originally released on the original Xbox and this version has been released on Steam without a graphical upgrade so you can tell it was an Xbox game. There was this God who was bored so he took half of his power and made himself a brother who turn out to be all dark and they had a fight which ended up with two worlds being formed one of light and one of dark. The dark guys are attacking the light guys but the light guys seem like racist assholes towards the animal people so clearly the light refers to actual light rather than being nice. Of course perhaps later on there is a twist were it turns out, you’re not on the light world but the dark one and that is why everyone seems to be so racist. It took me a while to get used to the combat and I’m still not sure how skill points regenerate, but once you get used it to its fine. My big issues are; the camera, which tries to kill you (a lot) and the combo system which requires precisely timed button presses and you can only tell the timing by looking at the read-out in the bottom left of the screen and if you do take your eyes off the combat for long enough to do that, you’re dead. The graphics are cartoony which makes a nice change from more modern RPG’s. I do take issue with the fact that Ailish and Buki are half naked. Ailish is a princess, she can’t afford more cloths? and Buki is a warrior, surely more armour would be appropriate. Apart from Dr Who – the voice acting is universally terrible. It’s games like this that makes me realise why people were originally so opposed to voice acting in RPGs. Ailish’s voice is particularly annoying. Sudeki is an intriguing game that shows its age. I’m interested to see where the story goes but it’s wrinkles mean I’m not in a hurry to go back.